Having heard the song , “The Mariner’s Revenge Song,” I had great hopes for this album. This song, albeit almost nine minutes long, had great vocals, storytelling and backup musically. To follow that up, “The Infanta,” with it’s unusual introduction, sits in my mind as the second best song. The rest of the album blurs together into a compilation of songs that sound the same. Besides the two songs previously mentioned, this folk music is just about elevator worthy. 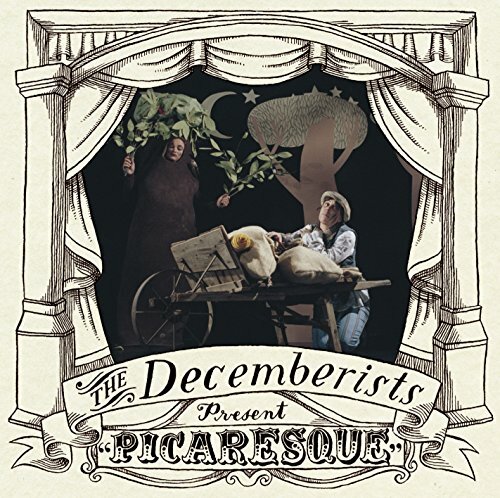 With a dynamic that reminds me of Flogging Molly, the Decemberists aren’t that bad, but then again, this album isn’t all that good. This entry was posted on January 28, 2008 at 9:15 am and filed under Seppi. You can follow any responses to this entry through the RSS feed. « The Fleshtones – Take A Good Look!